CNC machining is a manufacturing system that substantially improves productivity and significantly reduces costs in the medium and long term. Based on our more than 45 years of experience in the industry, it allows us to detail in depth the most outstanding competitive advantages for your manufacturing. 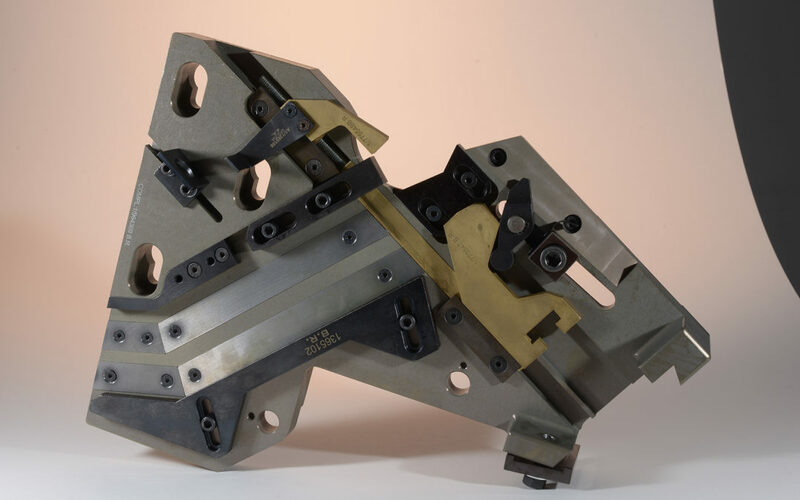 Although famous for its ability to reduce costs, this is not the only benefit of CNC machining. This system of building parts and machinery affects both the workers and the outcome of the product and the overall production quality of the industry. Human action in repetitive tasks or, on the other hand, in need of great physical effort, as is characteristic in Aerospace, Automotive, Energy, Railway, Industrial, Nuclear entails a slightly different result in each product. The accurate precision of the execution of machines and computers programmed for a task has an error rate of 0%. Our company BR Meccanica Italy has highly technological systems such as active scanners with a measurement accuracy of less than one micrometer. High speed scanning with up to 200 measuring points per second and measurements with an accuracy of up to 0.7 + L/400 μm. Needless to say, operator safety is one of the most important factors. By using a machining system, workers will not find themselves in a situation directly exposed to a possible hazard, as could be the case in sectors such as the nuclear industry. It’s the star factor, making and creating new products for the market double or even triple fast is one of the most important advantages to be better prepared than your competition. In our production factory in Torino, we have 51 CNC machines. On the other hand, thanks to the installation of machining and CNC machines, the same number of products can be developed with a possible reduction in staff, since fewer professionals are needed to control the machines. The use of time is vital for companies in the aerospace or railway sector and, in general, for any industry that wants to have the best service. Consult our express production services 48 hs . Undoubtedly, this point is key to further increase productivity, as well as the work environment. In addition to being able to do more in less time avoiding potential hazards to employees. BR Meccanica uses CNC machines for milling, drilling, turning, sharpening, grinding, EDM, punching, laser cutting. The mechanization of the processes will allow much more complex and sometimes time-consuming actions to be carried out in a more efficient way, as the whole process can be comfortably controlled by a single operator, who will direct the action of the machines. This point is especially advantageous for those companies that work with heavy metals. In conclusion, if you are looking to increase the productivity of your industry to another level, save a lot of time, you can send us your query without commitment. We are an industrial partner with a high multidisciplinary capacity in technology, materials and processes that offers and guarantees added value.